We know that you have to be careful when using computers, especially when on the internet. Let your guard down and before you know it, some crook in eastern Europe is using your good name and credit card number to buy cameras to sell. You think you're safe, you have anti-virus, anti-spyware, firewall and all the latest patches. Think again, you are never as safe as you think. The bad guys are constantly coming up with new ways to get your information. On Saturday, February 14th, Ira Wilsker, security expert will join us remotely to discuss the newest "tricks" being used and how to avoid falling into the traps. Ira will also talk about what you should be doing and more importantly, what you shouldn't be doing to protect yourself. Ira is a four-term past president of the Golden Triangle PC Club (GTPCC), in Beaumont, Texas. He has also served the GTPCC as newsletter editor, and vice president. Ira has served the Association of Personal Computer User Groups (APCUG) in a variety of capacities for over a decade, including terms on the Board of Advisors, and Board of Directors. Ira has participated as a volunteer at almost all APCUG national events since 1991, and been a frequent round table presenter. For the past 13 years, Ira has hosted "My Computer Show" on KLVI radio, and for the past 8 years Ira has written the weekly Personal Technology column in the Examiner newspaper. 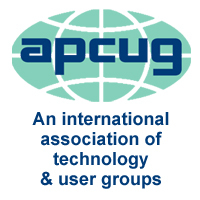 This column is also directly submitted to about 50 computer user groups for inclusion in their newsletters, as well as frequently included in the APCUG "Push" articles submitted to all member groups. Ira is an Associate Professor of Management, and the Program Director of the Management Development program at the Lamar Institute of Technology, where he has been teaching full time since 1977. Ira, a certified police officer, also teaches classes in computer security and cyber terrorism at the Texas Center for Homeland Security, and conducts frequent presentations for civic groups on identity theft and other computer security issues. Ira has an MBA degree from the University of Maryland (1976), and is married with four adult daughters.